The Illustrated Royal Weddings, expertly curated from the archives of the ILN, celebrates the marriage of Prince Harry and Ms Meghan Markle. 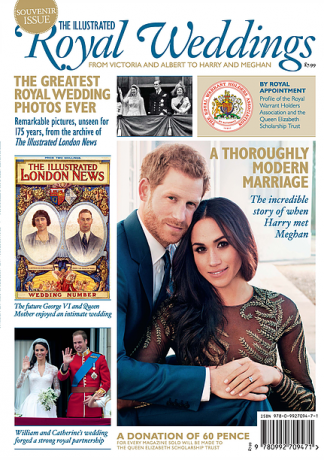 As well as focusing on the speculation and excitement surrounding the forthcoming royal wedding, the beautifully designed magazine will also look back at the history of royal nuptials, from Queen Victoria and Albert’s wedding to The Duke and Duchess of Cambridge’s. The reader will discover the intricate details that go into a royal wedding and what is to be expected from Prince Harry and Meghan Markle’s big day. Please note the price shown includes P&P of £3.50. Be the first person to tell us what you think about Illustrated Royal Weddings and you'll save £2.50 on your next purchase!